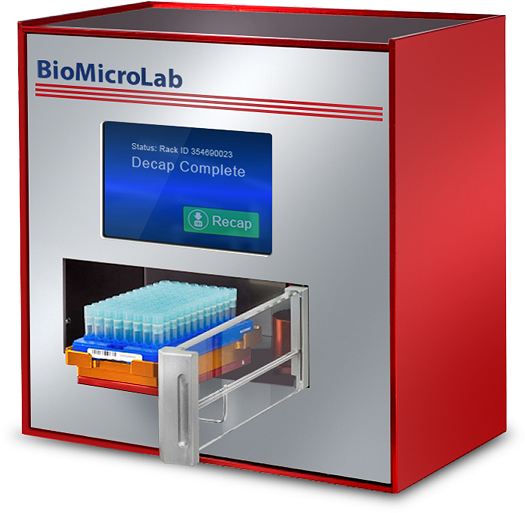 Add or remove all 96 caps in 30 seconds with the CapDecapPro 96™ benchtop automated capping and decapping system for full racks of tubes. Ready-to-use out of the box. No rack adapters needed when changing between tube sizes. The rack holder automatically slides in and out to a designated position for the tubes to be placed either manually or, when needed, by a robot.